Houghton Mill is a restored 17th century water mill on an island in the River Ouse, just east of Huntingdon. 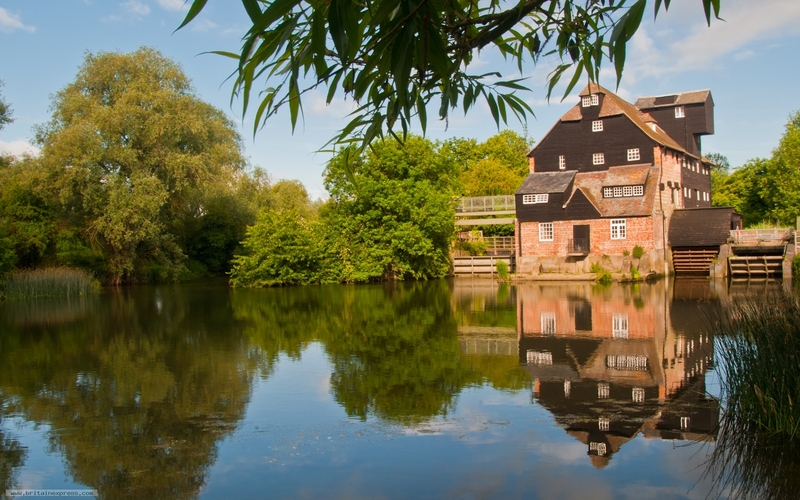 It is the only remaining water mill in the old county of Huntingdonshire, and the last surviving mill on the Great Ouse. Lovely walks lead through water meadows to St Ives and the pretty villages of Hemingford Abbots and Hemingford Grey.